Comes with: (4) Bruiser Black Wheels, (2) 25x8x12 front, (2) 25x10x12 rear, lug nuts, and center caps. Comes with: (4) Bruiser Black Wheels, (2) 25x10x12 front, (2) 26x12x12 rear, lug nuts, and center caps. Comes with: (4) Bruiser Black Wheels, (2) 27x10x12 front, (2) 27x12x12 rear, lug nuts, and center caps. 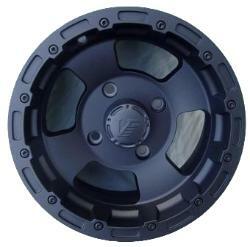 Comes with: (4) Bruiser Black Wheels, (2) 28x10x12 front, (2) 28x12x12 rear, lug nuts, and center caps. Comes with: (4) Bruiser Wheels, (2) 25x8x12 front, (2) 25x10x12 rear, lug nuts, and center caps. Comes with: (4) Bruiser Wheels, (2) 25x10x12 front, (2) 26x12x12 rear, lug nuts, and center caps. Comes with: (4) Bruiser Wheels, (2) 27x10x12 front, (2) 27x12x12 rear, lug nuts, and center caps. Comes with: (4) Bruiser Wheels, (2) 28x10x12 front, (2) 28x12x12 rear, lug nuts, and center caps.